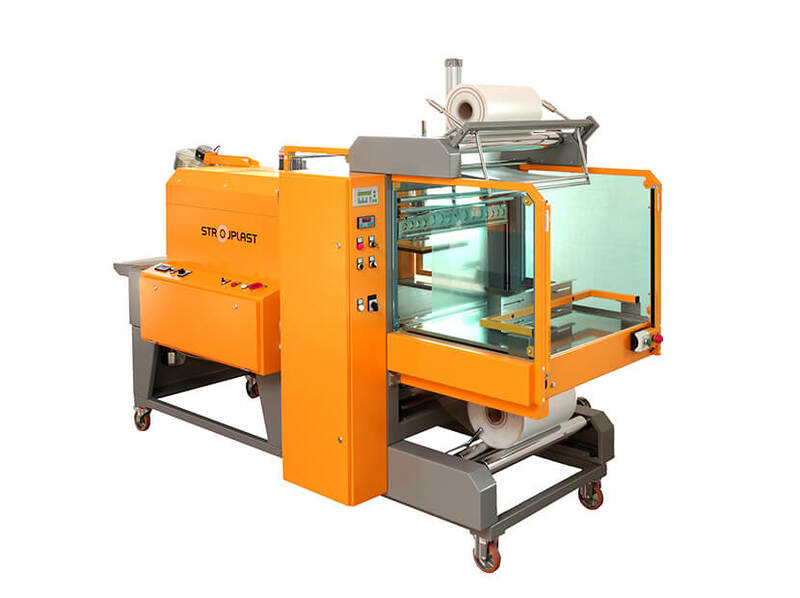 Semi-automatic sleeve wrapping machines perform best at shrink wrapping products of same shape and size: glass bottles, PET bottles, boxes etc. Along with electricity external air compressor is required to operate sealing bar and pneumatic pusher. 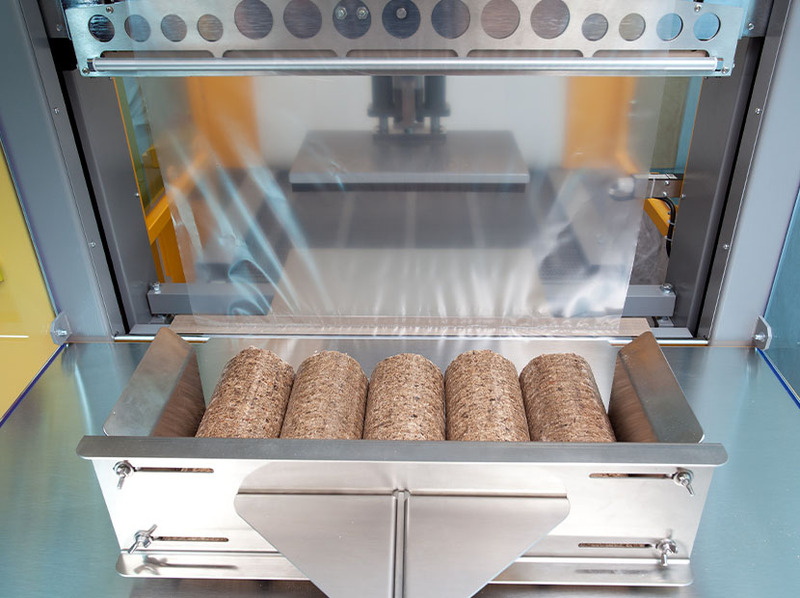 Products are placed onto machine manually. 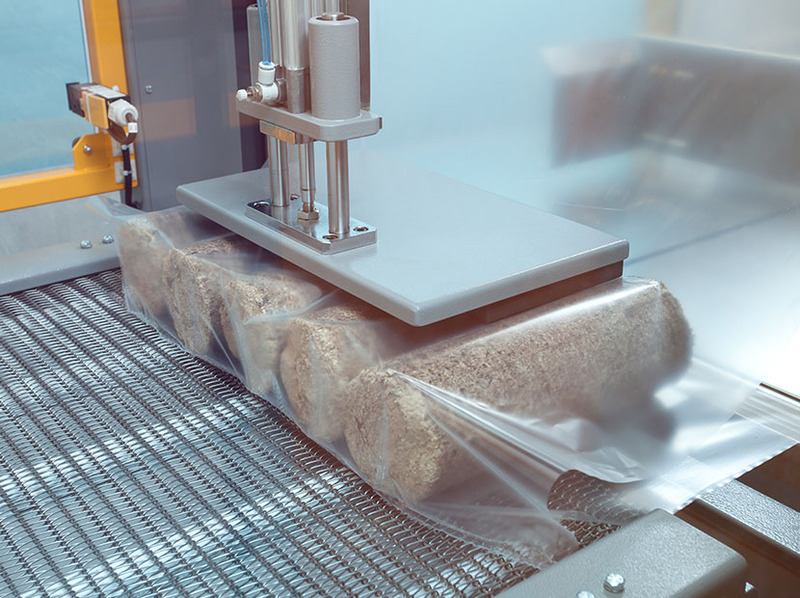 Machine automatically pushes products under the sealing bar where product is wrapped into film, sealed and transported into shrink tunnel. 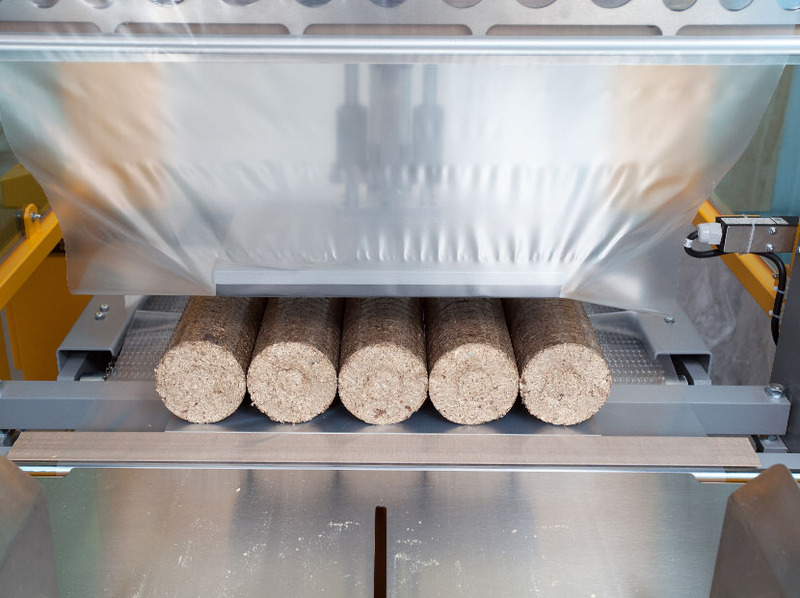 We have developed a cost effective alternative to pneumatic semi automatic sleeve wrappers: The AirLess line of sleeve wrappers. See more. Compact castors and robust structure for frequent and easy moving of the machine within production location. 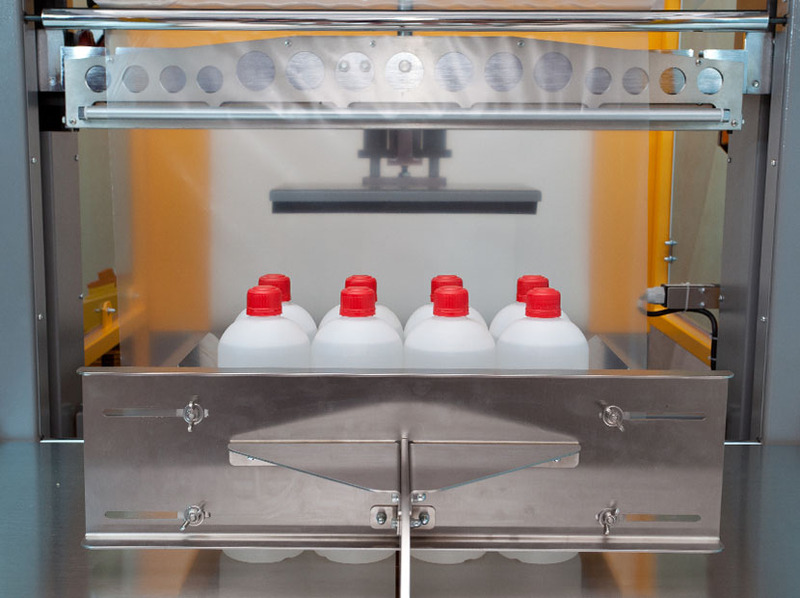 Adjustable angle of the exit rotary table enables packaged products to be transferred exactly at the desired height for further handling. Motorised upper and lower film reel unwinding. PTFE-coated sealing support is designed to last longer for reduced costs of regular maintenance. 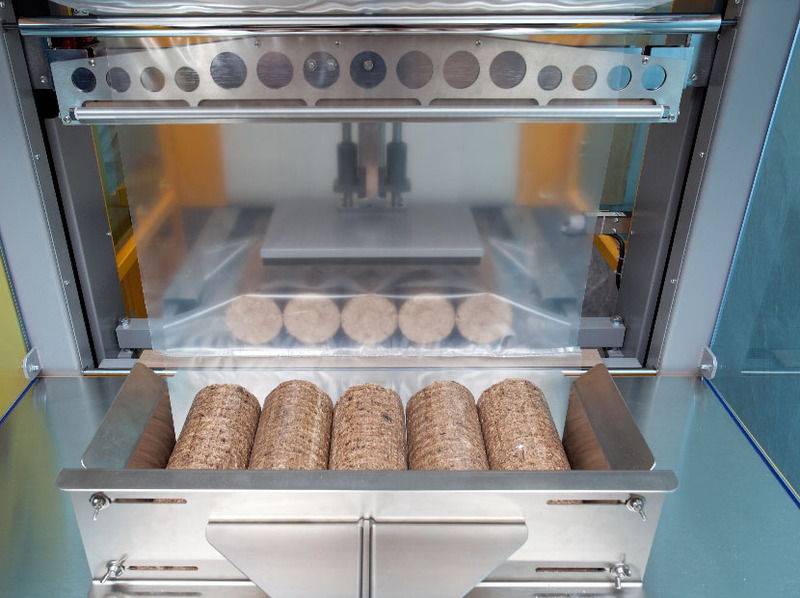 Only standard components are built-in which enables easy and low-cost maintenance throughout the entire life-cycle of the machine. Sturdy and high quality made allows for 24/7 use in demanding industrial environments. Option of automatic film smoothing for improved bundle aesthetics. 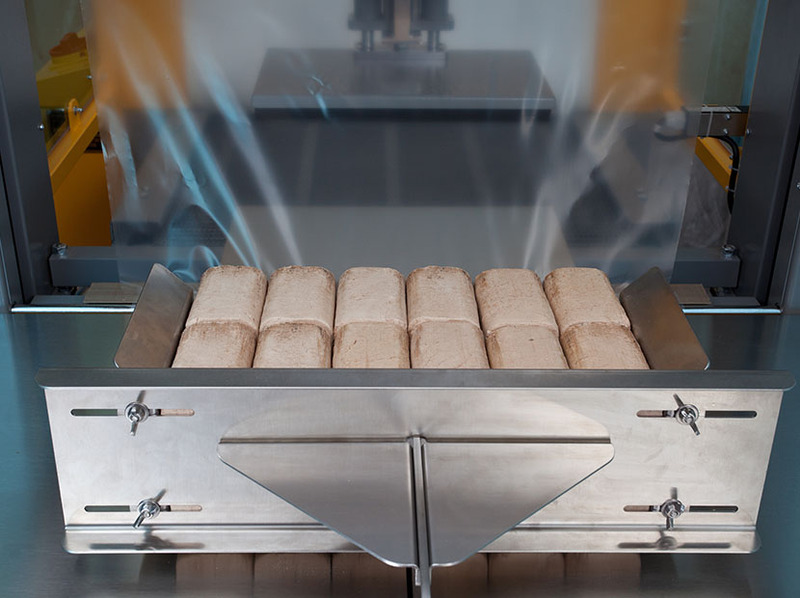 Conveyor belt speed is inverter controlled which enables very precise stage-less speed adjustment. 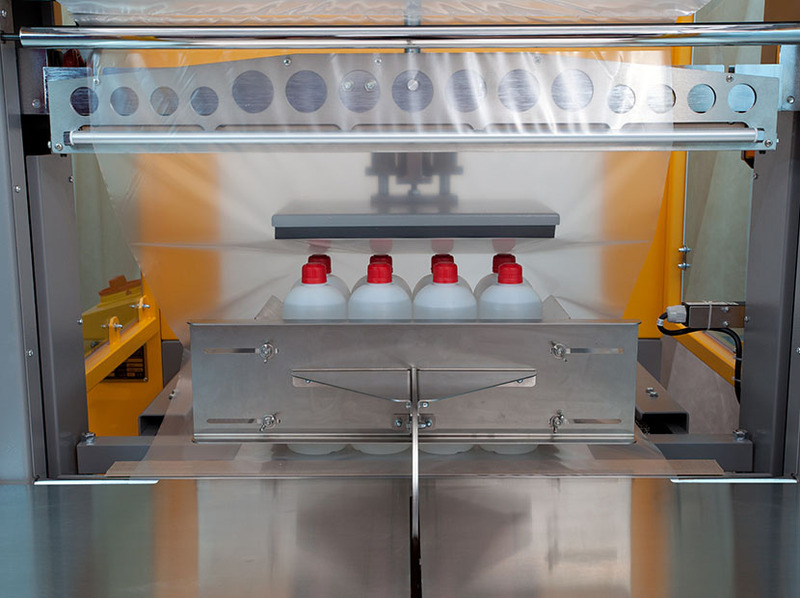 Shrink tunnel features adjustable flaps for total control of hot air currents and digital control of temperature inside the tunnel; together these two systems enable energy efficient packaging. 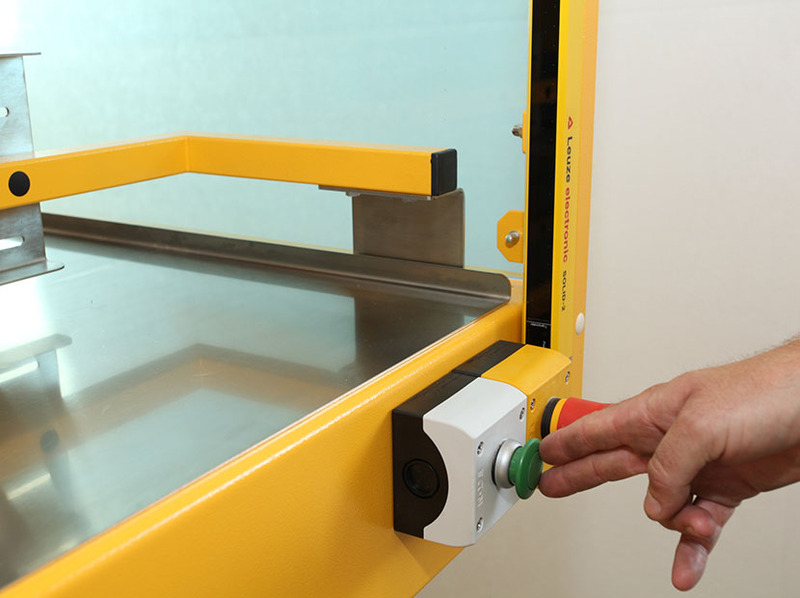 Sealing bar is equipped with safety sensors to prevent injuries. 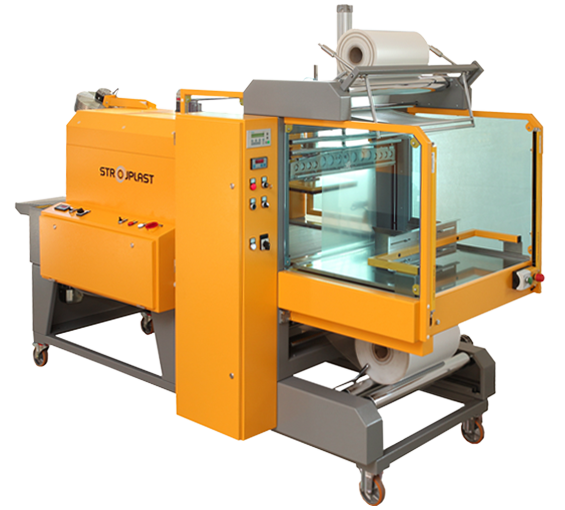 Machines can be upgraded with safety photocell curtain to prevent injuries.